Ancient civilizations rise and fall, often in dramatic fashion. Their origins, though, are subtler and tend to be overlooked or poorly understood. 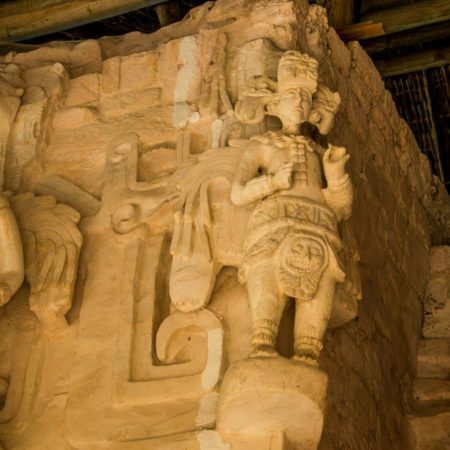 Apart from its dramatic scale, what makes the so-called Maya collapse so striking is that, despite decades of study, archaeologists still cannot agree on what caused it. 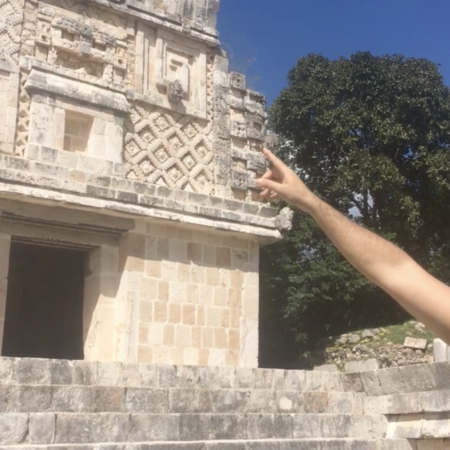 To add to the confusion, newly discovered excavations have revealed that some Mayan ceremonial plazas and pyramids are centuries older than we thought. 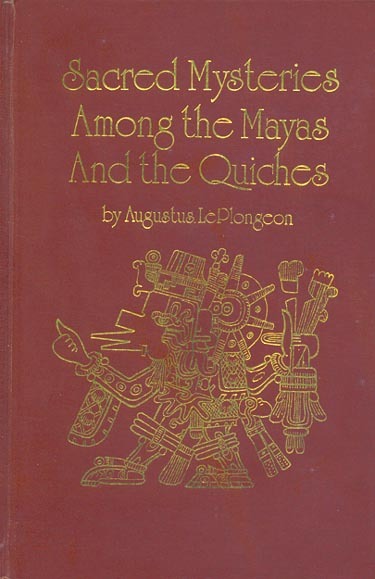 Perhaps it’s time we re-visit the renown photography, published works and controversial evidence brought forth by pioneering Mayanist and Freemason, Augustus Le Plongeon. Despite Le Plongeon’s ground-breaking work being dismissed by contemporary scholars of his day, the founder of the Theosophical Society, Madame Helena Blavatsky, drew upon his research for her own theories. 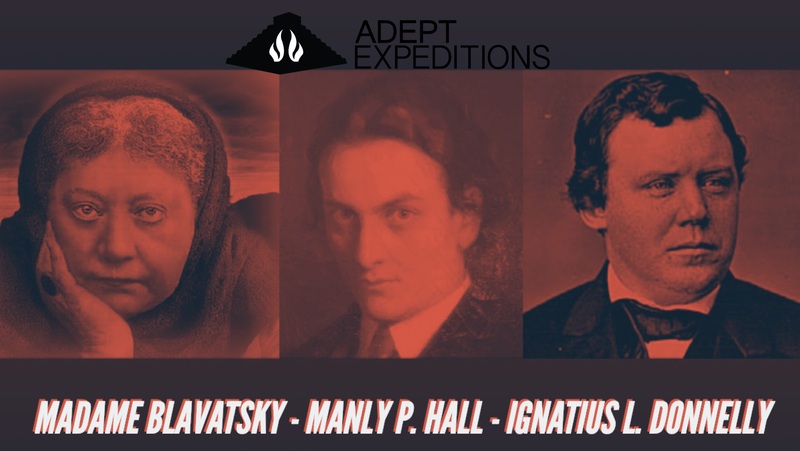 He not only inspired early fundamental works that helped shaped the Theosophoical Society, but he also motivated Manly P. Hall, the great occultist and president of the Philosophical Research Society. Manly P. Hall was a proponent of Le Plongeon’s amateur archeology. He even purchased Le Plongeon’s ground-breaking collection of photos taken on-site in the Yucatan. Further, U.S. Congressman, Ignatius Loyola Donnelly championed the work of August Le Plongeon and cited his research. 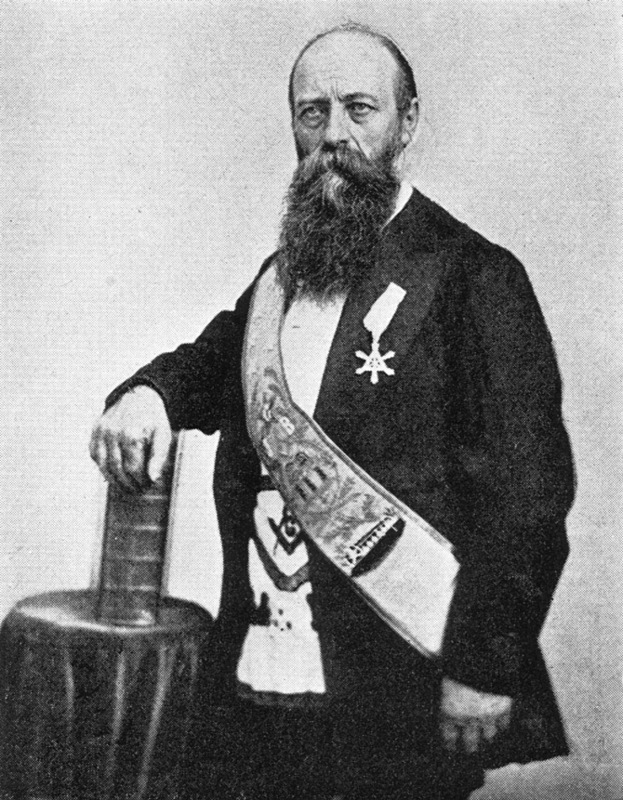 Augustus Le Plongeon (1825 – 1908) was a French-American occultist, photographer, amateur archeologist, and esoteric author, who along with his wife Alice Dixon Le Pongeon (a member of the Spiritualist movement, a Rosicrucian and Theosophist) were among the first to study the pre-Columbian ruins of America, particularly those of the Maya civilization on the northern Yucatán Peninsula. Le Plongeon believed that the Maya sites in the Yucatan were the cradle of civilization, with civilization then traveling east – first to Atlantis and later to Ancient Egypt. He also discovered that the symbols of Freemasonry could be traced to the ancient Maya, and that this ancient knowledge had come to ancient Egypt from the ancient Maya by way of Atlantis. Some of the most compelling evidence to support Le Plogneon’s theory of cultural diffusion was the Mayas’ corbelled arch. The arches of Temple V atop the Magician’s Pyramid at Uxmal he believed, had proportions that related to the “mystic numbers 3.5.7” which he stated were used by ancient Masonic master builders. He also noted that those same proportions were found in tombs in Chaldea and Etruria, in ancient Greek structures and as part of the Great Pyramid in Egypt, and were due, he said to the Maya influence. 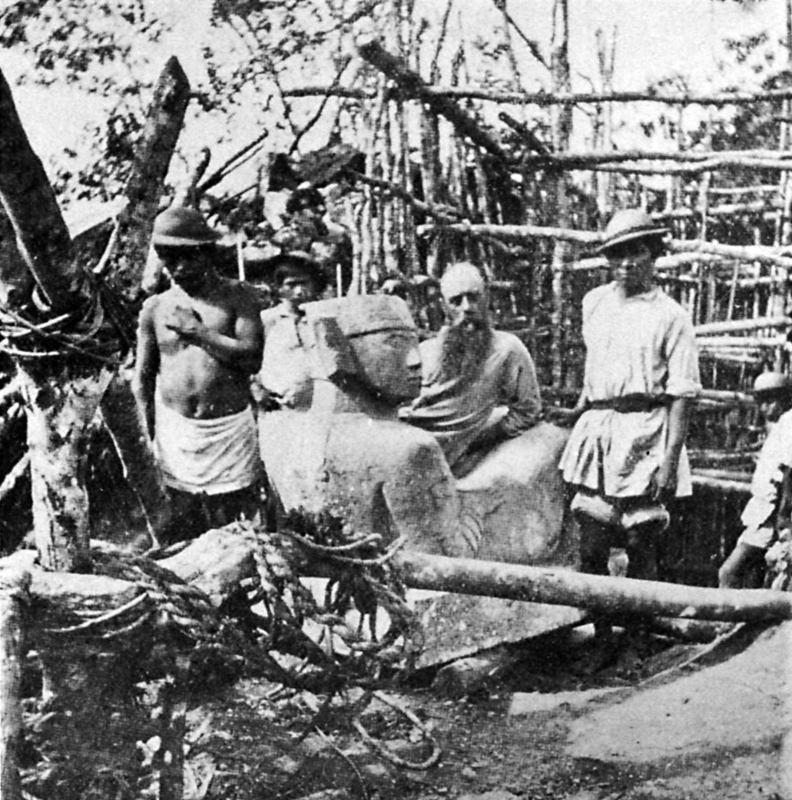 Initially his work received a lot of favorable support including reviews in masonic Voice-review, Volume 16, but once archaeologists developed their firm chronology of the Maya and Egypt, Le Plongeon’s theories were thought to be wrong by the academics – yet proving his theories wrong appears not to have been sufficient for the new field of scientific archaeology. While the mainstream archaeologists who typically stand against cultural diffusion, showed appreciation for Le Plongeon’s systematic approach to photography, they erected a common wall of silence around his theories of cultural diffusion, and eventually worked to push him outside the established circle of Archaeological grace. 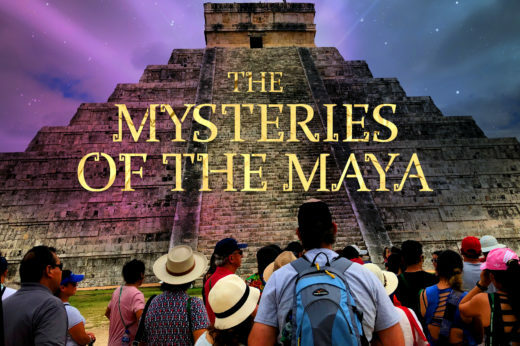 Many of these scholars and so-called authorities on the Maya civilization, who had contested Le Plongeon’s theories had never step foot in Mexico – Unlike Le Plogeon who had spent years examining the Maya ruins first hand while working alongside the indigenous people of the Yucatan. 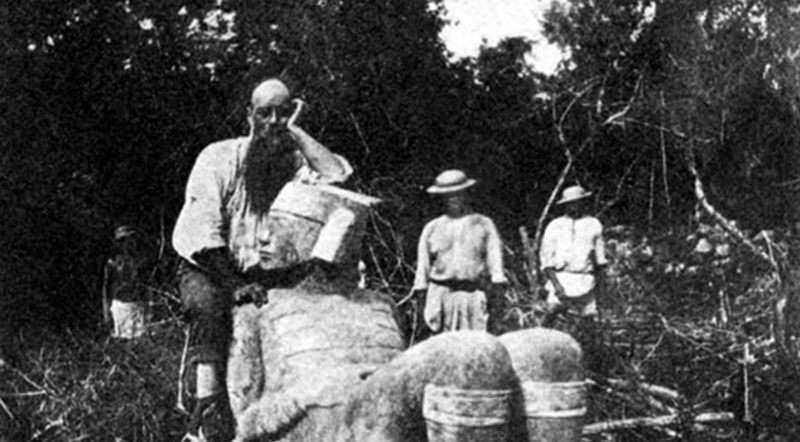 Le Plongeon refused to be silenced and continued to cite his years of fieldwork and studies of archival sources, and challenged those he considered “armchair” archaeologists, including the noted scholar and first chair of archaeology at the University of Pennsylvania, Daniel Brinton to a debate on Maya history and religion. Brinton called Le Plongeon an “eccentric” but ignored his challenge to debate. Brinton did however, compliment the excellence of Le Plongeon’s photographs and drawings. 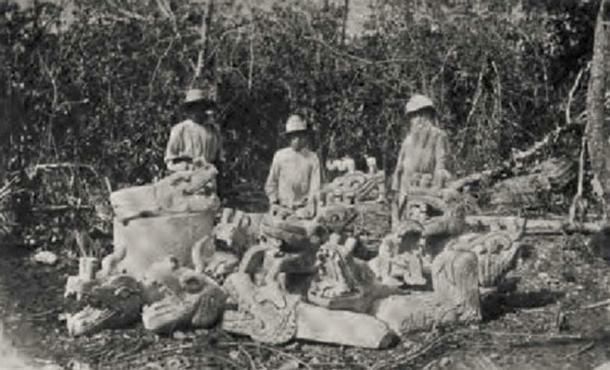 While Le Plongeon’s theories have been challenged by the academics, it should be noted that venerated author, lecturer, astrologer and mystic, Manly P. Hall was sympathetic to Le Plongeon’s views placing the Maya before Atlantis and Egypt and even purchased Le Plongeon’s renowned photographs and manuscripts documenting the archaeological sites in the Yucatan. 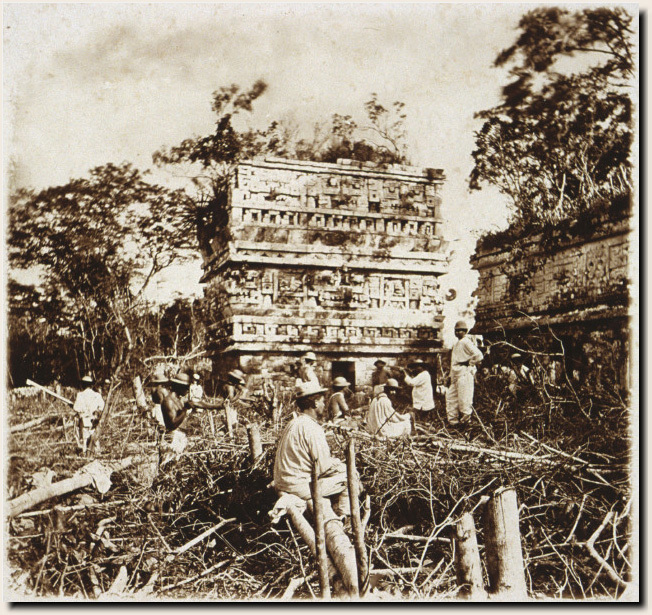 Basing his study on archaeological evidence including buildings, art, and artifacts, Augustus Le Plongeon, in 1866, provided a comprehensive account of ancient Mayan civilization, the foundation for modern Central American culture. Delivered with poetry and logic, Le Plongeon’s comparison of the mythology and spiritual belief systems of this 11,000-year-old society and those of others (from the ancient Egyptians to Christians) illustrates just how human many sacred mysteries are, and just how closely bonded people and communities are-no matter how far apart. 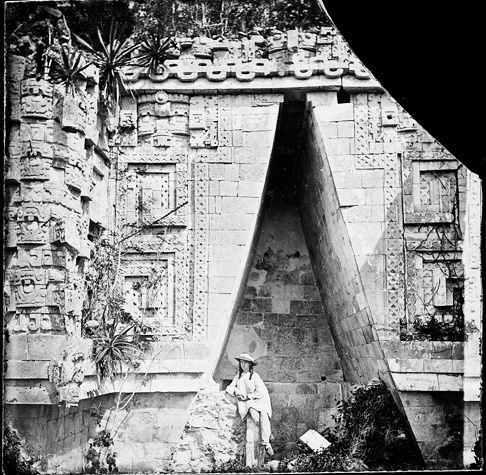 British archaeologist and photographer, Augustus Le Plongeon attended school in Paris, was shipwrecked off the coast of Chile, and ran his own photography studio in San Francisco before settling in the Yucatan. He wrote many scholarly manuscripts, notes, and letters and kept numerous photographs documenting his decades living in Central America. 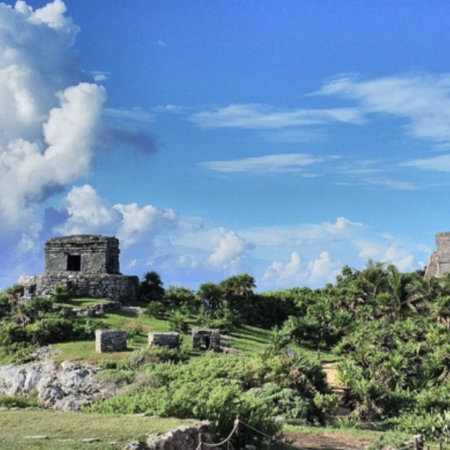 Are the Mayan ruins in the Yucatan are much older than the academics lead us to believe? 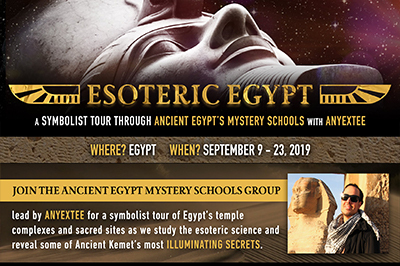 And if so, as Le Plongeon insisted in his published works Sacred Mysteries Among the Mayas and the Quiches and Maya/Atlantis: Queen Moo and The Egyptian Sphinx, could the Mayan ruins be the cradle of civilization – predating both, Atlantis and Egypt? 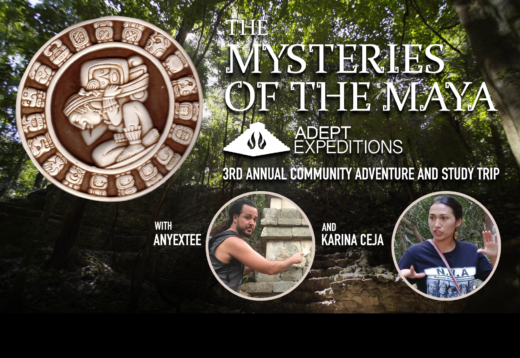 Feeling called to experience the Sacred Mysteries of the Maya for yourself? 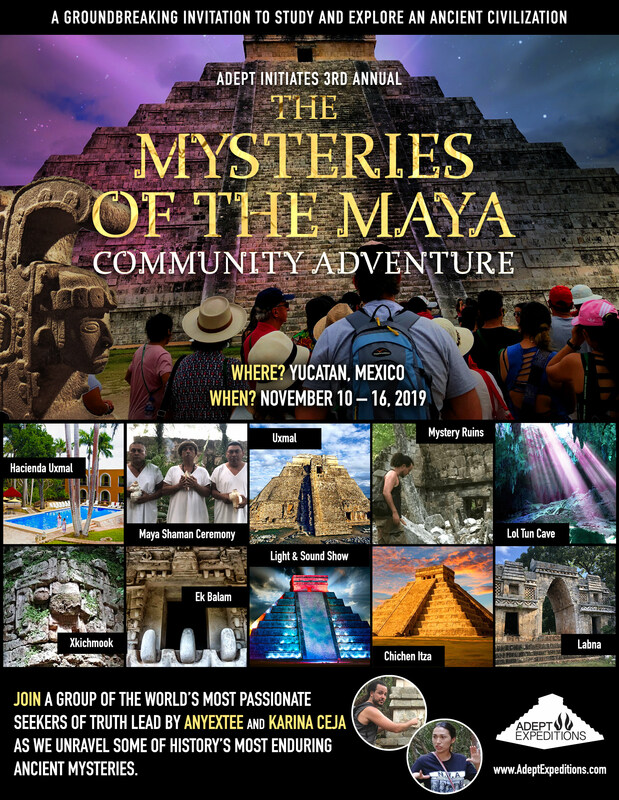 Be part of our group of intrepid travelers, best selling authors, and cutting edge esoteric researchers as we explore the Mayan ruins of the Yucatan for this Adept Expedition this November.